Such symbols invoke such mixed emotions. This season can be the ‘most wonderful time of the year’ for some, and the most ‘worrisome time of the year’ for others. Hope and despair, joy and sorrow, peace and anxiety, often simultaneous and rooted in efforts to reclaim, rename, or all together refrain from different religious, political, and social agendas that shape the way this time of year is experienced. I think about the different expectations placed upon us during this season, and I think about the different experiences we each have as a result. Symbols spark emotions, emotions invoke a response, and a response shapes experience. Each symbol is a small piece of a larger puzzle that we all attempt to include or exclude in order to make sense of this time of year. Often times, we hide behind symbols, hoping that our voice will be the one that resounds loudest from behind the symbol in which we hide. As a community called Sanctuary Coffee, we have adopted a symbol as our logo, but not one that we attempt to hide behind but rather fully embody. The logo depicts three circles that represent my story in relation to your story converging with God’s story. We value good coffee, and hope you receive great service and a product that exceeds expectations. But what we value most is relationship, best shared in conversation. We’re a church community that truly impacts lives with every purchase made and we are so thankful for all the relationships that we have had the privilege of building along the way. 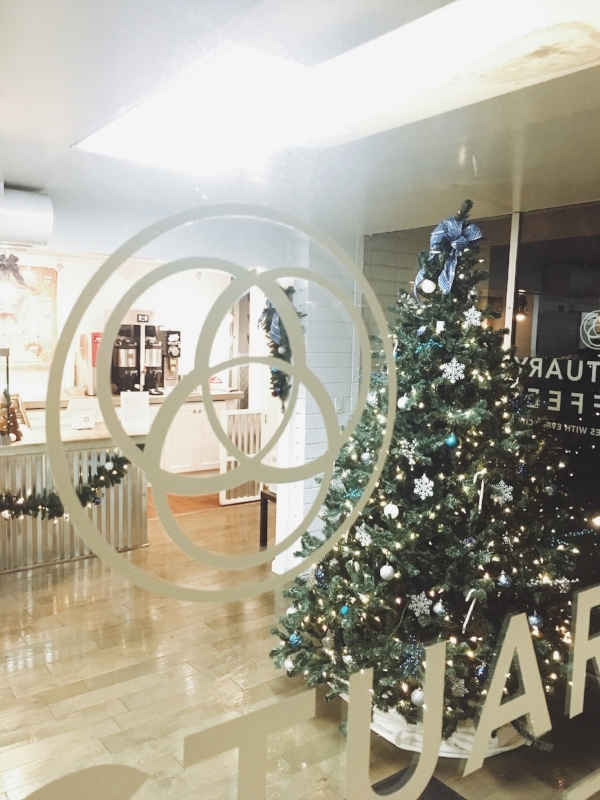 Our symbol we stand by represents a desire to serve great coffee, in attempt to experience deeper relationship in community, to more fully live out the hope expressed during this season in awaiting the coming of our Lord.